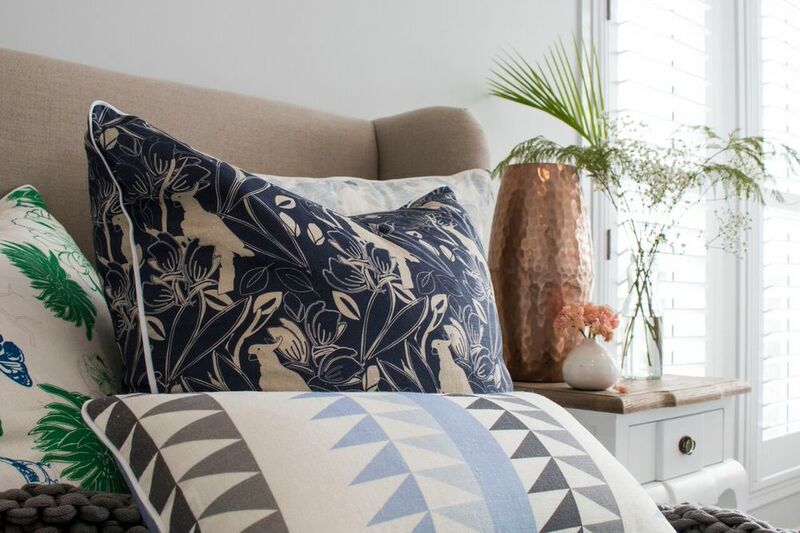 This week we have been busy shooting some of our beautiful linen cushions in a stunning home located in Casuarina, Northern NSW. 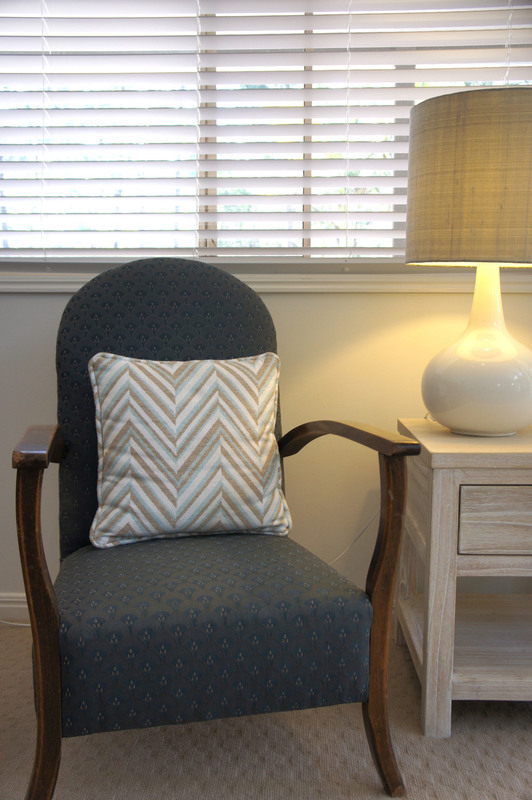 Our fabrics at L&A are timeless and will suit any modern or traditional home. The cushions are also available in a range of different shapes and colours to suit your needs. Those three words came to mind when I saw this space. With a predominantly warm grey colour palette and an injection of blonde timber, makes for a very stunning and inviting space. Instead of using the traditional beach side colour of blue as an accent, we chose a combination of earthy greens and white for this new display home. Throw some natural timbers and stone work into the mix and you have a home that stands out from the rest. Looking for a modern twist on beach side living? This kitchen oozes style, sophistication and coastal living all at the same time. When you are renovating or building a new home, consider keeping the colour palette to a minimum and introduce a combination of natural and man-made textures to create interest. In this home, internally the Dulux Lexicon white walls have been complemented with natural elements such as the timber floors, stone work and hardwood floors. Also, consider using a feature colour to create contrast and interest. Be bold and add colour to more than just one wall at a time. In this home we have used Dulux Raku both on the external and internal walls to bring continuity and rhythm. 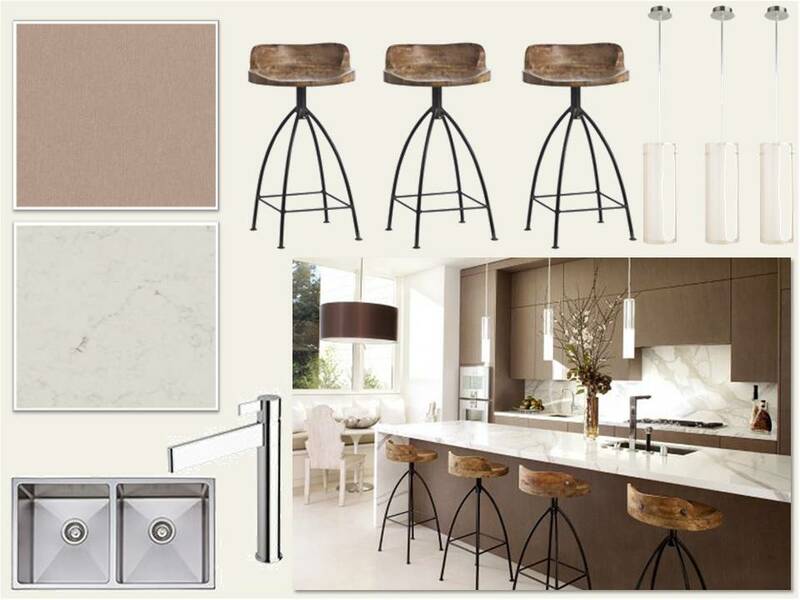 A client has given us a small space of 5m x 2.4m to plan a kitchen and dining space. Whilst planning these rooms we needed to consider the rear door of the property along with the lounge room which is adjacent to the space. Good design is all about creating a functional yet stylish space that meets the clients day to day needs. We are really happy with the final plans and 3D vision for this room and hope that our clients are too! What do you think? Lee & allan design have released a beautiful new collection called Bloom; A vibrant celebration of all things In Bloom. These beautiful fabrics are available via EmilyZiz Style Studios and are available on a variety of bases cloths, such as Linen, Polyester and Vinyls. Therefore these fabrics are suitable for both residential and commercial applications. Pictured in this luxury bedroom are our Fans on the bedhead and the Geo Triangles on the cushion. This week, Lee & Allan Design had a wonderful night down in Kingscliff for the VIP launch of the new G.J. Gardner Tweed Heads display home. The Mandalay looks amazing and we are very lucky to be part of such a great team! This home is has a lovely warm, rich and inviting feel. The colours specified for this display are Dulux Oyster Linen on the internal walls, Dulux Pipe Clay Half on all the trims. Feature colours throughout the house consist of Dulux Olive Bark in the Entrance and Master Bedroom and Dulux Tibetan Silk throughout bed 2, 3 & 4. If you’re thinking of building in Northern NSW then there is no other option but with G.J. Gardner. Great people, great service and fantastic building skills. Here is a sneak peak of the home! When building a new home or renovating. 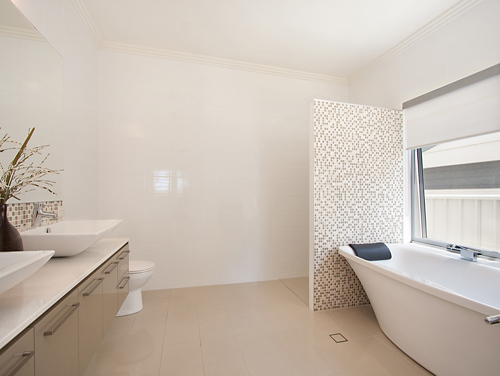 Consider these tips for your next bathroom. 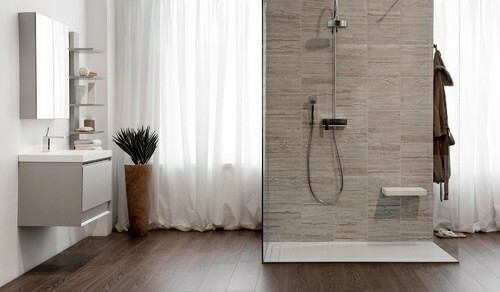 Try a wet room, where the shower area blends into the greater bathroom space, this will make the bathroom feel larger and you will have less glass to clean! This is always a winner for me. However do make sure that the drainage has been fully considered as you don't want to see water falling and pooling outside the shower area. A wall mounted cabinet will increase the sense of floor space and also ''lighten'' the visual bulk of the bathroom, therefore making the room appear larger. Why not hide the storage unit above your basin by using a wall mounted shaving cabinet that is recessed into the wall. You gain the added benefit of the mirrors which help to reflect light and storage that is at eye level and easily accessible. Ceiling mounted showers give a heighted felling of space. They can however be some what impractical for women. Therefore why not consider a Twin Shower, you gain the benefit of a dual shower, height and a touch of opulence at the same time. Install a niche (or two) in your bathroom. They are a great way to store your favourite bathroom products and also add a little wow factor to the space. 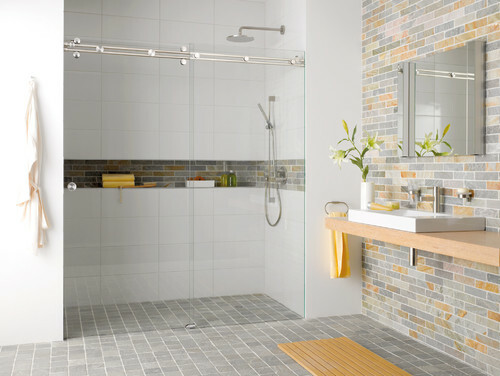 Try a long horizontal niche running the full length of your shower wall or above your bath. Finally, your bathroom should not only be functional but should also be a space to retreat from the world and become a bit of a pamper zone. Looking for a Colour Consultant? play a pivotal role in our lives and is arguably the most influential element in design. When we consider the ingredients required to create successful design it becomes apparent that without colour, design is incomplete. 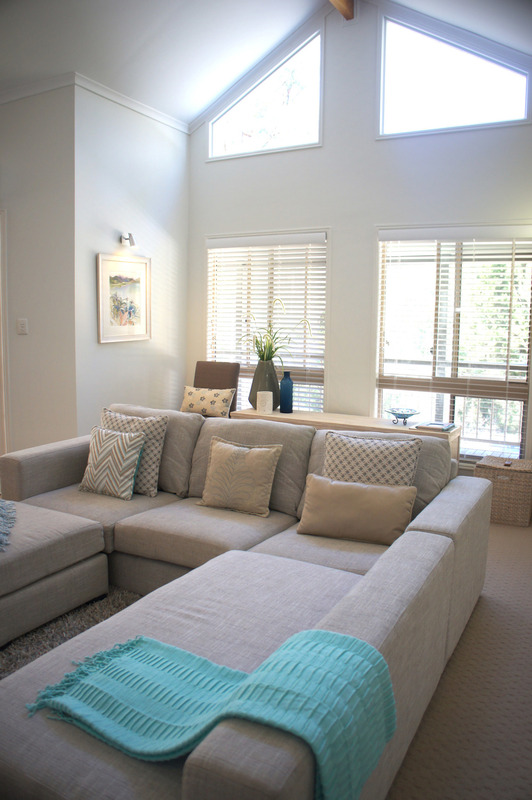 Lee and allan design are experts in creating just the right colour palette for your space. We work alongside you, to make sure that your home environment reflects who you are. Whether that is creating a warm cozy ambient room or a space with bold bright impact. What does a colour consultant do? A colour consultant will work with you to determine your colour selections for paint, both internally and externally. Colour consultants can also assist you in selecting product colours for all related building materials on your project, such as roofing, stone work and interior materials like the kitchen and bathroom cabinetry, fixtures and fittings and flooring. As all materials, natural and man-made have colour, therefore everything is subject to a color decision to ensure your colour scheme complements both your lifestyle and the design of your home. So if your building a new home, renovating or just wanting refresh a room we can help you. Lee and Allan Design will provide you with a colour schedule, so that all you need to do is shop. This will make sure that the process is effortless and enjoyable for you. Colour Consultants are a design professional and often have skills across multiple areas of the design industry therefore the scope of the service will affect the fee, however at Lee and Allan Design the fee is either an hourly rate of $110.00 or negotiated for larger projects. 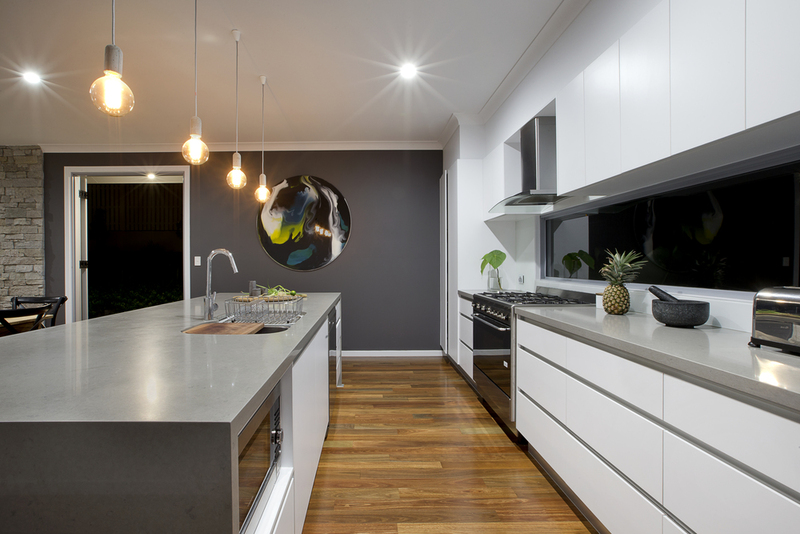 Lee and Allan Design is located in the heart of Broadbeach, on the Gold Coast QLD and services from Northern NSW to Brisbane.